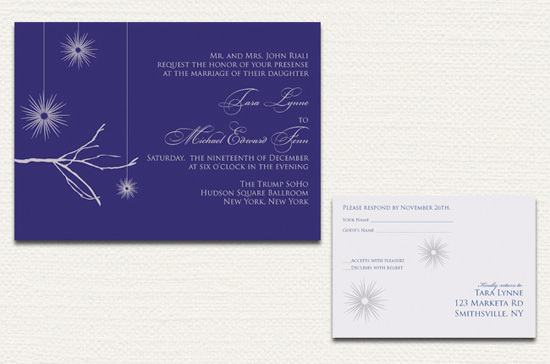 The invitation above was originally designed for a holiday party, but here it's been changed to a wedding design. 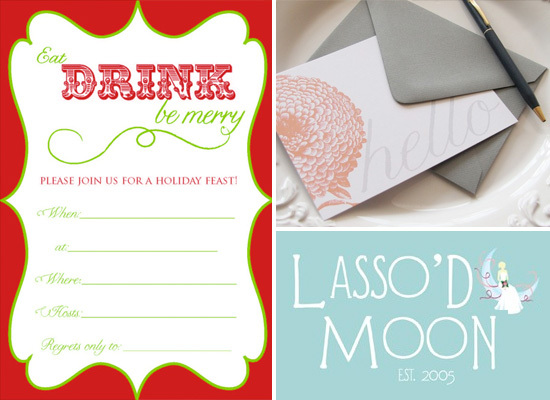 And, right now through 12/15, if you buy any two stationery sets from Lasso'd Moon, Carey will refund your shipping. 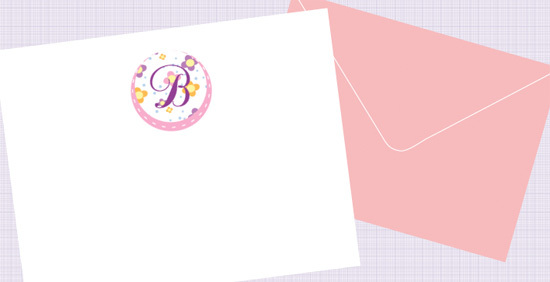 These stationery sets make the perfect gift or stocking stuffer. be great holiday or wedding gifts, or even just used during the holidays.